Make sure to link to the cartoon version. Cleaver published a text version as well for the visually impaired and for search engines that can’t (yet?) read comix. What do Oscar Wilde, Horace, CA Conrad, Kenneth Goldsmith, Vanessa Place, Ted Hash-Berryman and Alfred E. Newman all have in common? 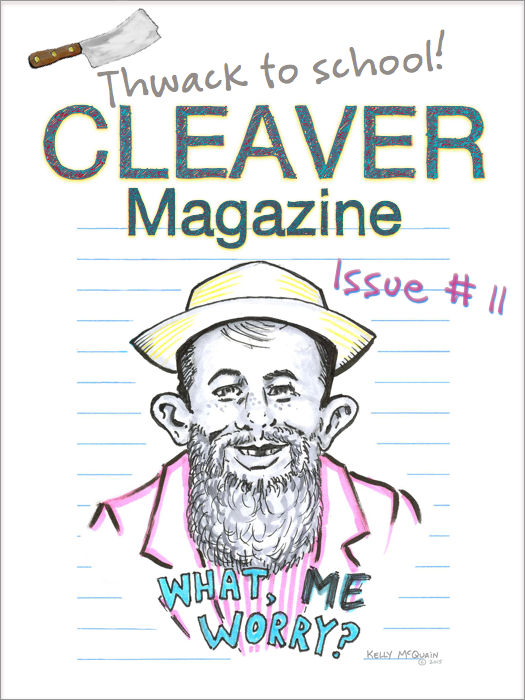 Cleaver Magazine is featuring my visual essay on MOMA poet Kenneth Goldsmith and the strange state of American poetics as a back-to-school essay in their new issue. Read The Empathy Machine here a nd get the low-down. A direct link to the art and text is here. Find out what makes me MAD.